Automotive Key Fobs are a part of the auto key chain accessory. They provide consumers with quick easy access to their vehicles and, when needed, an alarm to find the vehicle or scare off would be predators. Key Fob technology has advanced over the years and makes it easy for consumers to get a replacement when needed. Veteran Owned Locksmith, LLC is a leading provider of automotive key fobs and programming these devices to your vehicle. We understand how these devices work and we know how to insure you get a quality replacement that works just as good as the original. WE CARRY AUTOMOBILE KEY FOBS IN STOCK! CALL US TO GET YOURS TODAY WITHOUT THE WAIT AND THE COST FROM THE DEALERSHIP! How do automotive key fobs work? Think of your remote fob as a small transmitter with a tiny chip in it that creates the code to operate with your vehicle. There is a small silver can that is about the size of a pea that transmits the code. These transmitters use rolling code to prevent replay attacks from nearby eavesdroppers that are looking to duplicate codes to remote functions like garage door openers. Some systems use a Forty Bit rolling code which translates to about 1 trillion possible codes. When you press the button on the key fob, it sends the Forty Bit code along with a function code to tell your vehicle what you want to do such as lock and unlock your car doors or trunk. Interestingly, if you are a great distance from your vehicle and accidentally press one of the buttons on the key fob, your key fob will no longer be synchronized to your vehicle. Do not worry though, these systems are smart! The receiver solves the problem by accepting the next 256 possible valid codes in the pseudo-random number generator sequence. 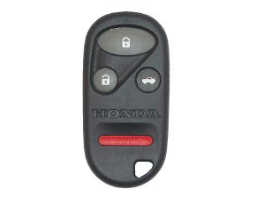 Thus, you could press the key fob remote another 256 times and the vehicle's receiver would accept the key fobs transmission. However, if you press the key fob transmitter 257 or more times, then your vehicles receiver will no longer accept your key fob transmitter leaving your key fob desynchronized with your vehicle. Veteran Owned Locksmith, LLC understands how these remotes work and understands how to program them to your vehicle. Call Veteran Owned Locksmith, LLC today to find out how we can help you get a replacement Remote Key Fob and program it to your vehicle. Call Veteran Owned Locksmith Today!